Blue chip enterprises and innovative up-and-comers around the world use Solace PubSub+ message brokers to move their data. With PubSub+, Airtel is able to use industrial-grade messaging to reduce costs and improve customer satisfaction. Bharti Airtel is the third largest mobile operator in the world with 300 million subscribers in 20 countries. Airtel is credited with creating the ‘minutes factory’ model of low cost and high volume usage, which has since been adopted by several operators. Airtel has a large customer base for their prepaid mobility stack, with customers relying on the ability to add funds to their phone in order to make calls or access interactive services. Several years of rapid growth were straining their benefit provisioning system, to the degree that when customers requested a customized benefit, which is available to certain segments of prepaid users, it took minutes for them to receive the customized additional minutes or for data to be provisioned. The problem was the result of a file-based provisioning system. A new file was created at a predetermined interval, preprocessed by a mediation system, and then recharge information was extracted to offer provisioning to eligible customers. Delays throughout this system were adding up, which was frustrating customers and forcing call centers and retailers to respond to a large volume of customer support calls about services that were already being provisioned. 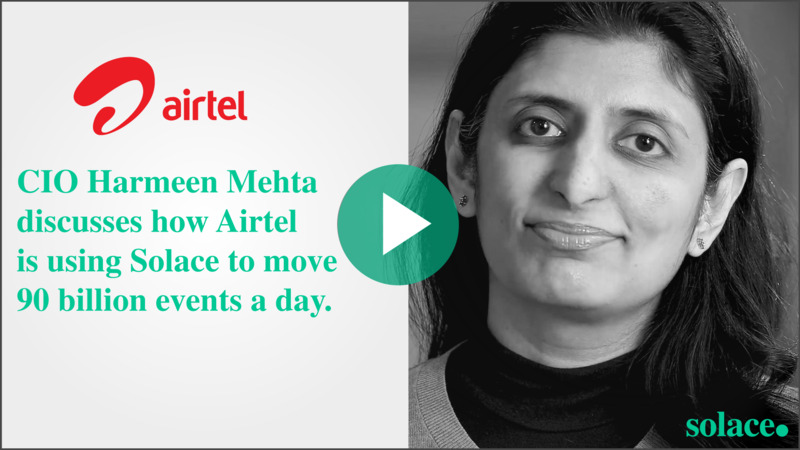 To offer world-class service to their valued customers, Airtel knew they needed to offer near-real-time provisioning to their prepaid users. One of Airtel’s key requirements was to find a solution that could handle not only the high throughput this provisioning use case required, but could be used to solve other data movement problems as well. Airtel evaluated a number of other messaging technologies from leading vendors, but found that they did not cost-effectively provide the capacity with necessary headroom to accommodate both provisioning and other use cases, and were susceptible to stability and performance problems. Airtel selected Solace for its ability to meet the needs of their provisioning use case while providing headroom and additional functionality with which they could solve other problems as well. Specifically, Airtel appreciated Solace’s high performance, sophisticated pub/sub fanout capabilities, and ability to guarantee delivery with zero message loss. Ensuring the reliability of their infrastructure in all conditions was critical, so other important differentiators included Solace’s built-in high availability, ability to protect against growing message spools, and safeguarding against the impact of slow consumers. Airtel successfully deployed their Solace message routers into production just months after purchase, thanks to a simple architecture that makes Solace technology very easy to deploy and manage. With Solace now passing recharge information to the benefit posting system, 97% of customers receive their benefits (customized additional minutes or data) within seconds. This has improved customer satisfaction and reduced the number of calls from frustrated customers, which has freed up retailers to focus on sales and call center reps to provide faster response to real support request. Airtel has defined Solace as their enterprise wide recommended messaging technology for all use cases that involve the efficient distribution of business-critical, high-volume or time-sensitive information, and have already defined projects in areas such as 4G enablement and national mobile number portability. Learn more about how Solace enables telecommunications providers to reduce costs and improve customer satisfaction. With Solace now passing recharge information to the benefit posting system, 97% of customers receive their benefits (customized additional minutes or data) within seconds. Akuna Capital is a fast-growing boutique trading house based in Chicago that specializes in derivatives market-making and arbitrage.Akuna Capital selected Solace messaging appliances as the data distribution layer of their global high-speed trading system. The Solace appliances, which have replaced homegrown middleware, give Akuna a fast, scalable and fully redundant infrastructure that allows them to focus resources on optimizing their differentiating trading strategies. Akuna considered a number of approaches including commercial alternatives and continuing to invest in their homegrown infrastructure before settling on Solace. Akuna particularly valued Solace’s operational transparency and control, extreme reliability, and features such as diskless persistence, built-in WAN optimization and market data flow control. Azure replaced an MQ-based messaging platform with Solace, an upgrade which has translated into 500% more capacity and lower latency for their payments customers. The capacity of the Solace appliance has enabled Azure to dramatically reduce the cost and complexity of their system by consolidating many racks worth of servers and MQ licenses down to a small number of Solace appliances. The vertical scalability of Solace’s architecture enables Azure to keep up with growing demand and data volumes as e-payment processing becomes even more ubiquitous. In 2009 Barclays announced a multi-year partnership establishing Solace equipment as the global standard for Barclays Capital’s enterprise-wide high-speed messaging platform. Barclays Capital uses Solace appliances to integrate applications spanning the front, middle and back office. 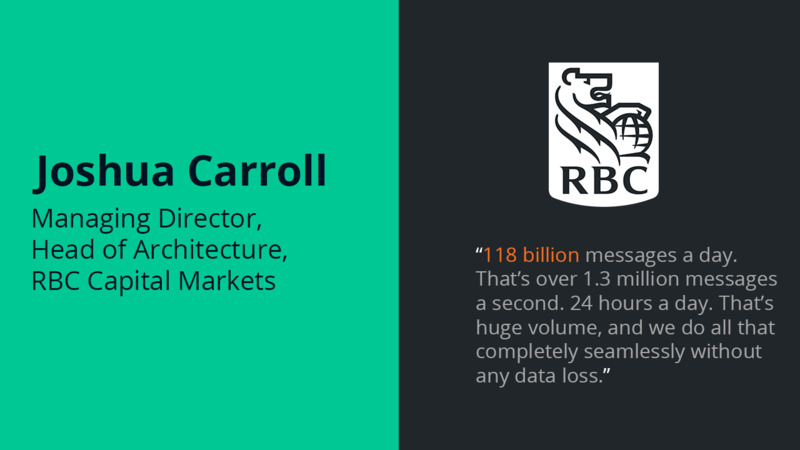 By consolidating all messaging needs onto the platform Barclays Capital simplified their infrastructure while saving on development, datacenter and support costs. bet365 is a leader in the eGaming industry and a driving force in the development of enterprise and internet technology. Established by Denise Coates in 2000 from a portable building in Stoke-on-Trent, the company has grown into a global operation that employs over 1, 400 people and is live in 17 languages. The scale and global reach of bet365’s operation requires a secure, high performance, bandwidth efficient means of sharing critical data between its network of datacenters. CargoSmart Limited empowers companies to digitally transform their global supply chains. Leveraging technologies including artificial intelligence, Internet of Things, blockchain, and a deep understanding of ocean shipping, CargoSmart provides innovative solutions for transportation and logistics teams to collaborate, increase visibility, and gain insights to optimize supply chain planning and operations. Founded in 2000 and headquartered in Hong Kong, CargoSmart has helped over 160,000 professionals worldwide increase delivery reliability, lower transportation costs, and streamline operations. For more information, visit https://www.cargosmart.ai/. See why CargoSmart uses Solace. Cobalt, which aims to reduce the cost, risk and complexity of Foreign Exchange post-trade processing, is using Solace to facilitate the event-driven flow of information. The FX industry experts are leveraging blockchain-inspired distributed ledger technology to cut cost and risk for FX market participants. Cobalt’s solution combines best-of-breed technologies to create a robust, cost-effective post trade processing service. Solace enables the fast, efficient, guaranteed delivery of information, acting as a buffer for high rates of inbound messages. Cobalt selected Solace technology for its unique ability to guarantee the delivery of very large volumes of messages while protecting downstream systems from high burst rates during periods of exceptional market volume and volatility. The goal of CORE Transport Technologies is to disrupt old technology and put the power of big data analytics into the hands of the customer and at the same time the customer’s customer. They have made Solace PubSub+ event broker technology a strategic element of several of their solutions, combining the domain expertise and business logic of their applications with the uniquely fast, robust, scalable event distribution that PubSub+ offers. For over a decade, the United States Postal Service and Department of Defense (DoD) have used a SaaS offering based on Solace’s appliances called CORE Logistics Coordinator to synchronize and exchange critical logistics information with their global logistics suppliers in real time. Overlaying CORE’s software onto Solace PubSub+ appliances enables real-time routing between a variety of third- and fourth-party logistics firms such as terminal handlers, ground handlers, air and ground carriers and container providers. Solace PubSub+ helps their system easily coordinating the flow of data through multiple environments and handoffs. The platform sends users real-time alerts about factors affecting their deliveries such as severe weather, security issues and logistical problems so they can make more effective package routing decisions. This ability to send customized alerts to specific users ensures optimal deployment of resources, and ensures that logistics partners are meeting their service level agreements. In 2018 Solace and CORE expanded their partnership to offer a solution that enables real-time tracking of unit load devices (ULDs) in the air transport industry. Solace and CORE’s innovative offering helps air carriers implement and manage Internet of Things (IoT) devices to improve the monitoring, tracking and routing of shipments. CORE’s software leverages the event distribution capabilities of Solace PubSub+, both software running in the Microsoft Azure cloud, and as the PubSub+ managed service. The event-driven routing of information across diverse cloud environments lets logistics companies easily synchronize and exchange critical information in real-time, updating users on the status of their deliveries as well as potential logistical problems. The solution drives smarter analytics, deeper visualizations and more effective command-and-control functions that improve transparency of air cargo shipments. Crédit Agricole CIB is the Corporate and Investment Banking arm of the Crédit Agricole Group, the world’s fifth largest bank by total assets.Crédit Agricole Corporate and Investment Bank (CIB) has implemented Solace messaging appliances as the data distribution backbone as part of its continuous investment in low latency electronic trading in FX, Rates and Bonds. Unifying all messaging on Solace simplifies the management of the different systems and improves reliability, flexibility and scalability. Crédit Agricole CIB sees significant growth opportunities in eBusiness in its chosen segments and geographies, and uses technology as a key differentiator. FxPro is an award-winning online broker, serving retail and institutional clients in more than 150 countries. FxPro provides access to competitive pricing and deep liquidity with no-dealing-desk intervention via its advanced trading platforms, superior execution technologies and algorithmic tools.FxPro is using Solace technology to increase the capacity, performance and robustness of the messaging infrastructure that powers its advanced trading platforms and customer-facing interfaces. FxPro is deploying a combination of Solace Message Router Appliances and Solace Virtual Message Routers to power a wide range of internal and customer-facing applications, including distribution within data centers, over wide area networks and via web and mobile devices. The new Solace infrastructure replaces multiple previously used technologies, including ActiveMQ, Kaazing and ZeroMQ. FxPro selected Solace for its unique scale and fault-tolerant features as well as a unified API and administration framework, which will keep the architecture and operation of their system simple even as they grow their business. Learn more about FxPro at www.fxpro.co.uk. Groupe PSA is the second largest car maker in Europe, known to most for the Peugeot, Citroën and Opel automobile brands. From the production of vehicles to the design of innovative services and the invention of solutions that shape the future of mobility, the Groupe PSA is present across the entire automotive value chain. Groupe PSA selected Solace PubSub+ as a core component of its next-generation connected vehicle platform. The platform enables advanced event-driven connectivity between millions of connected cars and diverse back-end systems with unmatched performance, robustness and scalability. To learn more about Groupe Renault, visit group.renault.com. Grupo Bursátil Mexicano (GBM), a leading Mexican investment and brokerage firm, uses a Solace-based Enterprise Service Bus (ESB) to route a wide range of information between front, middle and back-office applications responsible for risk management, clearing, settlement and more. GBM views this ESB, which has been in production for more than two years with 100% uptime, as a messaging layer that serves their entire business. They are working on migrating additional systems such as co-location services and interbank electronic transfers to this common infrastructure. For example, GBM recently expanded its use of Solace messaging technology to improve the distribution of market data, trades and settlement information across their global business. GBM now uses Solace technology to stream market data from the Mexican Stock Exchange (BMV) and Mexican Derivatives Exchange (MexDer) to traders and trading engines so they can track market trends, identify opportunities and initiate trades. Solace is also used to efficiently route clearing and settlement information to Asigna, the BMV’s settlement house. When we evaluated data distribution technologies for our next-generation infrastructure we found that Solace offers the best combination of performance, scalability and stability, which has allowed us to deliver the best possible trading experience to our customers. Harris is $5 billion international communications and information technology company serving government and commercial markets in more than 125 countries. Harris Corporation is using Solace to enable the distribution of mission critical data as part of the Geostationary Operational Environmental Satellite – R Series (GOES-R) program. Developed jointly by NASA and NOAA, the project will improve the detection and observation of weather, thereby leading to better and more accurate forecasts. The first launch of a GOES-R series satellite is scheduled for 2015. Harris chose Solace after an extensive evaluation in which Solace was shown to offer superior messaging throughput, latency and fault tolerance. They also valued the fact that Solace’s appliance-based solution would be easier to deploy and integrate with other systems than a conventional software solution. The Hong Kong Jockey Club (the Club) is recognized around the world as a leading innovator in the field of online sports entertainment. The Club is using Solace message routers to improve the distribution of real-time odds and other information to their customers. The message routers have been implemented in collaboration with Sonivy, a provider of integrated technology services for the financial services sector in Hong Kong and Mainland China. The Club’s adoption of Solace is consistent with their commitment to delivering the best customer experience in horse racing, sporting and betting entertainment. Solace message routers enable real-time distribution of large sets of odds data across multiple datacenters to give customers access to the most up-to-date odds and race results from their preferred channels. Jio is the largest 4G network in India, offering high-speed mobile internet connection & an engaging digital ecosystem for a seamless digital experience. Koine Finance will provide custody and settlement services that allow institutions to store digital assets securely and to trade them safely and efficiently. Their services are focused at the professional services market including investment companies, funds, brokers, trading communities, wealth managers and digital exchanges. Koine is based in London, with teams in Europe, Asia and the US. Learn more at www.koinefinance.com. Here’s why Koine chose Solace. Solace’s experience with established financial organizations and high-growth companies means they completely understand the Koine offer. Korea Exchange (KRX) is the sole securities exchange operator in South Korea, the result of consolidating the Korea Stock Exchange, Korea Equities Exchange and KOSDAQ.KRX has selected Solace’s messaging appliances as the core data delivery infrastructure for their new high-speed exchange platform. The new system, called EXTURE+, is the KRX’s next-generation trading system that offers low latency trading across many asset classes including equities, bonds, and derivatives. Solace makes it easier for the KRX to secure extra data copies onsite as well as for DR site to enable rapid disaster recovery. Solace will be used across all major markets offered by KRX including equities (KOSPI, KOSDAQ, and KONEX), derivatives and bonds. Legal & General Investment Management (LGIM) is one of Europe’s largest institutional asset managers, managing over £362 billion for over 3, 000 clients. Solace’s technology will complement LGIM’s existing EAI/SOA technology platform and provide the flexibility to adapt and scale their infrastructure as they address new business requirements and markets. LGIM conducted an extensive evaluation of the market and found that Solace offered the best technology and support of all the choices we considered. Liquidnet is the global institutional trading network that connects equity investors with the liquidity they need to trade in size, at any time, from anywhere. Liquidnet serves more than 630 asset management firms and dominates block trading around the world, with an average execution size of nearly 50, 000 shares in the U.S. It is critical that Liquidnet’s systems can reliably deliver all data and orders—once and only once—in the same order they were sent. The messaging solution Liquidnet used prior to Solace had limited throughput that did not meet its business requirements and Liquidnet could not sacrifice reliability to meet speed objectives. The previous platform was also nearing end of life and Liquidnet wanted to switch to a solution that would meet expanding needs for the foreseeable future. Liquidnet considered building a system in house, but decided it would be prohibitively expensive and would pull people away from the critical work of improving their core platform. Liquidnet selected Solace’s solution for its superior message rate and lower, more consistent latency. They also liked that as a turnkey appliance Solace is less costly and easier to deploy and upgrade than software running on servers. Finally, their operations team valued Solace’s management and monitoring tools which make it easy to configure message queues and troubleshoot problems. With Solace in place Liquidnet saw roundtrip latency drop by as much as 4 milliseconds in critical transactional paths, giving traders the confidence of knowing they have an absolutely up-to-date picture of liquidity and opportunities, and that their transactions will go through without a hitch. The Live E! Consortium promotes the use of network based technologies to move beyond climatic forecast for environmental prediction and protection. As educational institutes, public services and businesses leverage the available information, new businesses will be established and additional advancements made in support of creating a better awareness of how weather patterns can be read to forecast environmental threats. Live E! Consortium’s sensor network relies on Solace appliances to collect information about temperature, humidity, and atmospheric pressure from sensors around the world, and distribute it directly to the researchers and government officials that monitor environmental change and emergencies. Their old system required information to be consolidated and redistributed before becoming relevant to users, but now the network itself understands the data and all end user requirements. Critical environmental data gets where it needs to be faster and more efficiently. For example, information about temperature, humidity, and atmospheric pressure is captured across the country by Digital Thermometer Screens and then is distributed in real-time, directly by the network to the researchers and government officials that study environmental change and emergencies. London Stock Exchange Group sits at the heart of the world’s financial community, operating several leading exchanges: London Stock Exchange, Borsa Italiana, MTS and Turquoise. LSE Group uses Solace’s platform to provide a high throughput persistent messaging infrastructure for their downstream staging system. The Solace solution serves as buffering layer or “shock absorber” between the real-time trading system and the business-critical downstream systems used for surveillance, data warehousing, post trade processing and billing. The Solace-based system handles the very large number of messages entering the downstream system enabling fast and efficient processing of trading information. The LSE Group’s selection of our platform further validates that hardware messaging is helping the world’s leading firms differentiate their businesses through higher performance, improved operational efficiency and lower cost of ownership. Unibet is one of the largest online gambling operators in the European market, serving over 7 million customers in over 100 countries. Unibet offers a comprehensive range of online gambling products, such as sports betting, live betting, casino, poker, bingo and soft games through its web sites. Unibet is using Solace’s market leading appliances to accelerate information flow within their datacenters and to the over 7 million customers connecting to them. Traditionally, online gaming platforms have used a software-based guaranteed messaging platform for important transactions and another software solution for web messaging. Solace delivers companies a turnkey appliance that includes reliable, guaranteed and web messaging functionality to meet both of those requirements, along with WAN optimization, high availability, business continuity and advanced application monitoring. Solace improves messaging performance as much as 50 times with lower cost of ownership. Unibet has quickly risen to be a leader in their field by focusing on where they can differentiate, and being the best in the world at what they do. We are very happy to be working with Unibet to further improve their gaming infrastructure. Mercuria is a privately-owned group of companies active over a wide spectrum of global energy markets including crude oil and refined petroleum products, natural gas, power, coal, biodiesel, vegetable oils, carbon emissions as well as metals and agricultural trading. Underpinning the Group’s market activities is a significant portfolio of strategic physical assets. Mercuria has 34 offices on five continents and is one of the world’s largest independent energy traders. Mercuria uses Solace appliances to accelerate information flow within their datacenters and over the wide area network which connects them. Traditionally, trading platforms have consisted of a reliable messaging platform for market data delivery and a separate guaranteed messaging platform for transactions such as orders and trade confirmations. Solace’s solution, with unified support for reliable and guaranteed messaging functionality, meets both of those requirements along with WAN optimization, high availability, business continuity and advanced application monitoring. MSCI is an independent provider of research-driven insights and tools for institutional investors. Their deep expertise in risk and performance measurement is based on more than 40 years of academic research, real-world experience and collaboration with clients, who rely on MSCI for deeper insights into the drivers of performance and risk in their portfolios, broad asset class coverage and innovative research. The use of Solace messaging appliances has allowed MSCI to maintain its standards for scalability and availability while continuing to meet our needs for future growth. Developed jointly by NASA and NOAA, the project improves the detection and observation of weather, thereby leading to better and more accurate forecasts. Solace PubSub+ event broker technology serves as the low latency, high availability messaging backbone for the satellite ground system. The NETS Group is a leading payments services group, enabling digital payments for merchants, consumers and banks across the entire payments value chain. Operating Singapore’s national debit scheme, NETS enables customers of DBS Bank/POSB, HSBC, Maybank, OCBC Bank, Standard Chartered Bank and UOB to make payments using their ATM cards or mobile devices at more than 102,000 acceptance points in the country as well as online payments. About 1 in 3 Singaporeans use NETS vCashCard, FlashPay, PayNow or NETSPay payment options every day. NETS’ success hinges on being able to develop and deploy innovative new services that make it easier for customers to pay while giving merchants and banks better visibility into customer behavior. Those new services must, of course, comply with a litany of government regulations, and be able to integrate with other payment services and gateways. Solace’s message broker allows NETS to reliably and securely route the real-time information involved with large numbers of transactions. And our clean, flexible architecture lets them very quickly develop and deploy new digital payment projects and services, have visibility into consumer behavior, and pattern new services and loyalty programs around consumer behavior as the shift to cashless commerce accelerates. Solace has improved NETS’ ability to bring new services to market — such as the QR code application they recently deployed — from two projects every six months to one project every month. NETS aims to leverage that agility and Solace’s easy scalability to expand their reach and offer their innovative digital and touchless payment services across Asia. OOCL is one of the world’s largest integrated international container transportation, logistics and terminal companies. As one of Hong Kong’s most recognized global brands, OOCL provides customers with fully-integrated logistics and containerized transportation services, with a network that encompasses Asia, Europe, North America and Australasia. The insights OOCL has gleaned from CargoSmart’s innovative platform have helped us optimize the efficiency of our operation. It’s clear that Solace PubSub+ has given CargoSmart a world-class foundation upon which they can deploy a solution that leverages the IoT to help smart shippers differentiate themselves in the marketplace. Pico is a financial technology services firm and an agency only broker dealer. Pico provides infrastructure, integration management, and software solutions to a diverse financial services client base. Pico uses Solace appliances as the data distribution infrastructure within their Pico Quantitative Trading platform. PQT offers their solution as a managed service, complete with connectivity to the world’s leading exchanges and execution venues, market data feeds, integrated risk management, data analytics and more. After evaluating several middleware technologies Pico decided that Solace 3200 series middleware appliances best met their requirements in the areas of performance and the continuous distribution of data across geographies for risk management and disaster recovery. Solace is the central nervous system of the trading infrastructure that our clients use to execute trades across a range of asset classes around the world. By efficiently routing all of the real-time data it takes to execute smart trades and manage risk, Solace helps us satisfy service level agreements, and maintain our competitive advantage delivering world-class trading services. RBC Capital Markets is the corporate and investment banking arm of Royal Bank of Canada, and is consistently ranked among the top 15 global investment banks. With over 6,000 employees, RBC Capital Markets is active globally in fixed income, foreign exchange, infrastructure finance, ECM, metals, mining and energy. RBC Capital Markets has deployed Solace appliances routers to act as the message bus of their low latency trading platform, which will eventually replace the bank’s six or seven existing message buses. We build in the business layer to differentiate the product. We buy best-of-breed infrastructure and we partner with firms like Solace and Arista to move performance-sensitive business layer components to the infrastructure. 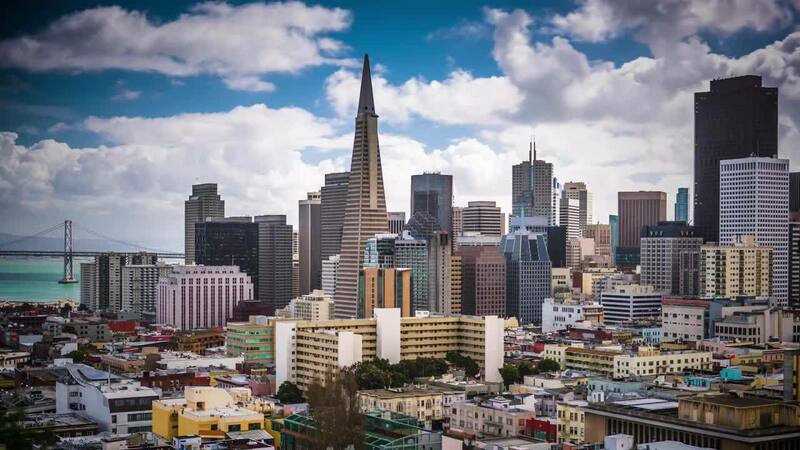 SAP Cloud Platform includes an integration service called SAP Cloud Platform Enterprise Messaging that is designed to connect applications, business partners and devices as part of end-to-end business processes running in the cloud. 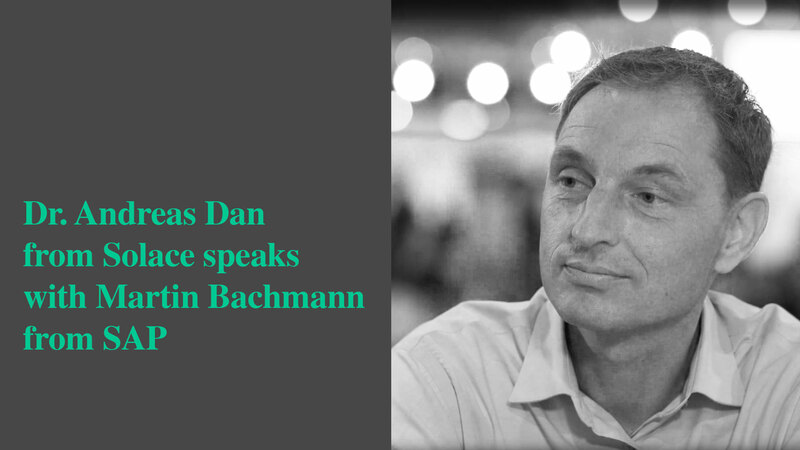 We had a chance to talk to the Head of Product Management Gateway Martin Bachmann at SAP TechEd again. Have a look at the interview and learn about SAP’s journey with Solace over the last years and how Solace supports SAP Cloud Based Solution, Vehicle Insight and what the future of Hybrid Scenario brings. In this interview, Denis King of Solace and Martin Bachmann of SAP discuss the role Solace technology plays in SAP’s cloud strategy. With Solace middleware, we anticipate that SAP customers can take advantage of a pre-integrated architecture for leveraging SAP software and cloud services to help tackle challenges such as the Internet of Things and enabling big data movement in a digital world. The Land Transport Authority (LTA) is a statutory board under the Ministry of Transport that plans, builds and maintains Singapore’s land transport infrastructure and systems. Solace’s data movement technology has been selected as a key infrastructure component of a Next-Generation Electronic Road Pricing (ERP) system being built for Singapore Land Transport Authority by a consortium of NCS and Mitsubishi Heavy Industries Engine System Asia (MHIES-A). As part of Singapore’s Next Generation ERP system, all vehicles will be equipped with an on-board device that leverages GPS to transmit real-time position, speed and more. Real-time alerts will notify drivers about congestion and suggest alternate routes. We’re pleased to be working closely with NCS and MHIES-A to deliver the next-generation Electronic Road Pricing system, and look forward to expanding the scope and value of their efforts. Spotex was founded in 2010 by FX industry veterans with the goal of providing a fast, unbiased and reliable FX exchange to serve the retail client base with the highest level of integrity and transparency. Spotex has selected Solace message routers to serve as the low latency messaging foundation of their foreign exchange (FX) electronic communications network (ECN). The Spotex ECN delivers fair, transparent FX trade matching that increases customer profitability by reducing response times and minimizing the difference between the prices at which orders are placed and filled, commonly called slippage. Solace message routers efficiently move information between trade participants and Spotex’s high-speed matching engine. Solace ensures high availability to avoid many types of possible failures, which is essential to the 24-hour nature of FX markets. The Spotex foreign exchange ECN has been operating since June 2014. Standard Chartered PLC is a leading international bank, listed on the London, Hong Kong and Mumbai stock exchanges. It has operated for over 150 years in some of the world’s most dynamic markets and earns around 90 per cent of its income and profits in Asia, Africa and the Middle East.As one of the world’s largest foreign exchange traders, Standard Chartered required a scalable next-generation infrastructure capable of low-latency data distribution across trading locations. After a rigorous evaluation and testing process, Standard Chartered selected Solace to provide the messaging infrastructure for their next-generation foreign exchange trading platform, and as their new standard for high performance messaging. Solace appliances were initially deployed in Singapore, Kuala Lumpur, London and New York to provide both reliable and guaranteed messaging between Standard Chartered trading venues. Additional appliances will be added to Standard Chartered’s network as more applications are migrated to the new platform, which SCB has selected as their new standard for high performance messaging. Tata Consultancy Services (TCS) is a leading IT services, consulting and business solutions partner. TCS is a leader in the global marketplace and among the top 10 technology firms in the world. TCS has partnered with Solace to help customers quickly and cost-effectively implement big data, mobility and Internet of Things (IoT) initiatives. The TMX Group owns and operates the Toronto Stock Exchange, TSX Venture Exchange, Montreal Exchange, Natural Gas Exchange and a variety of other business interests. In early 2011 TMX Group deployed Solace’s platform as the messaging backbone within their data dissemination plant, the core technology that performs the distribution of Toronto Stock Exchange and TSX Venture Exchange data feeds to market participants. TP ICAP is the world’s largest interdealer broker; a global firm of professional intermediaries that plays a pivotal role in the world’s financial, energy and commodities markets. TP ICAP deployed Solace technology to upgrade their messaging infrastructure and implement a modern service-based trading architecture. TP ICAP chose Solace’s Virtual Message Router and SolCache as together they uniquely support the wide variety of exchange patterns required as part of the company’s intermediary services, internal and external trade execution solutions, and data offerings. The solution enables the cost-effective fanout of information to large numbers of clients and systems. TP ICAP is implementing Solace as its global messaging and integration infrastructure in support of multiple lines of business and data services including fixed income, equities, energy, interest rates, commodities and market data distribution. The size of our client base and breadth of our service offering have both grown significantly since TP ICAP was formed through Tullett Prebon’s acquisition of ICAP’s global brokering business in December. We believed that to continue providing exemplary service to our clients we needed to migrate to a service-based architecture, and knew we needed to upgrade our messaging infrastructure to support that change. Solace has exceeded all of our expectations. Triton Digital is the leading digital service provider to traditional and online radio with a rapidly expanding roster of media clients emerging from the television and print space.As Triton builds on its leadership position in the traditional and online radio markets to serve television and print clients, provisioning, tracking and billing for services is becoming much more complicated. The ActiveMQ messaging software they used to rely on didn’t provide the reliability, flexibility or functionality they knew they’d need as they grow their business, nor did it meet their WAN distribution requirements. Triton now uses Solace’s solution as the backbone of all inter-application messaging for functions including the real-time delivery of audio ads, continuous collection of client data usage metrics and coordination of mission-critical application events. Solace’s appliances buffer data streams so applications can receive high-volume data at a rate they can handle without causing a backlog that impacts high-volume senders even over long-distance WAN links. Solace guarantees the delivery of mission critical information to Triton’s business systems, which was not achievable with other messaging middleware solutions. With Solace, Triton has reduced application complexity which accelerates time-to-market for new services and improves reliability. “By unifying local and long-distance data distribution with one API, Solace’s full-featured platform will also help us get new services to market more quickly by letting our developers focus on the business logic that differentiates us from our competitors, instead of coding ancillary messaging functionality into our applications, ” said Jean-Francois Gadoury, CTO of Triton Digital. Two Sigma Investments is a leader in process-driven, systematic trading that manages several billion dollars worth of assets. In 2010 Two Sigma implemented Solace’s JMS messaging solution in its core trading infrastructure. The platform supports numerous application-based messaging functions within Two Sigma. Two Sigma conducted extensive research and testing of competitive messaging solutions before selecting Solace for its consistently fast performance and high reliability. Since deployment in 2010, Solace’s appliances have reduced the datacenter footprint of Two Sigma’s messaging infrastructure while improving monitoring and management. Technological advantage is one of the keys to Two Sigma’s success, and we realized that to remain highly competitive we needed to thoroughly evaluate all available messaging technologies. Solace exceeded our requirements during extensive testing and we believe that the quality of their product is outstanding. Vela (formerly SR Labs) has deployed Solace technology to deliver a market leading compression solution which can publish data in the OpenMAMA format, and can meets the needs of clients in regions where high-bandwidth circuits may not be readily available. With customers including Amazon, Twilio, Nasdaq and C-SPAN, VoiceBase is the world’s premier API developer for speech analytics. And as the only speech analytics provider designed with an open architecture, they’ve revolutionized the industry by using a consumption-based model to take prices down to a tenth of what they were at the time of their founding. Every month VoiceBase processes millions of recordings that allow users to search from the web or their mobile device into the timeline of a recording and play the precise parts of phone calls, conference calls, webinars, educational lectures, podcasts, or videos. And their machine learning technology takes it all a step further by allowing a business, for example, to predict a caller’s intent based on tone, sentiment, and other factors. They use Solace messaging technology to intelligently route voice, video and text events through their system. The Solace infrastructure orchestrates the flow of events as VoiceBase’s processing cluster transcribes, indexes, summarizes, redacts and conducts predictive analytics on audio and video. VoiceBase initially used Amazon Simple Queue Service to orchestrate workflow, but operational challenges and growing event volumes made that approach unrealistic. They evaluated several software-based Java Message Service (JMS) alternatives, but realized that scaling JMS brokers to meet their needs would be complicated and expensive. “We looked at the architecture we wanted to build and we settled on an architecture that used an orchestration of services, and a key part of that was the concept of queuing,” said Jeff Shukis, the VP of Engineering and Technical Operations at VoiceBase. Shukis chose Solace for its ability to route millions of messages per second in a small footprint with low operating expenses. Only one enterprise service bus worked, and it didn’t even break a sweat. Prior to his discovery of Solace, Shukis always had problems at scale with queuing systems. He even “dreamed of a queuing system that worked like a network switch,” was done in hardware, and could scale exponentially. And his past problems spelled especially bad news when he projected what future VoiceBase requirements might be: 2.7 billion minutes per month of run rate. To evaluate the appliances on the market, Shukis and his team built a prototype that simulated those loads by pushing that much data through the queuing system. “I know that anyone I’m dealing with at Solace is going to be a professional, is going to know the way I think about queuing, what I need out of the product and how to help me,” began Shukis. We built a prototype that simulated the kind of loads we expected to see a few years out. And then we built a prototype that actually pushed that much data through our system and through the queuing system. There was no way that any of the queuing systems we tried could hold up to that.